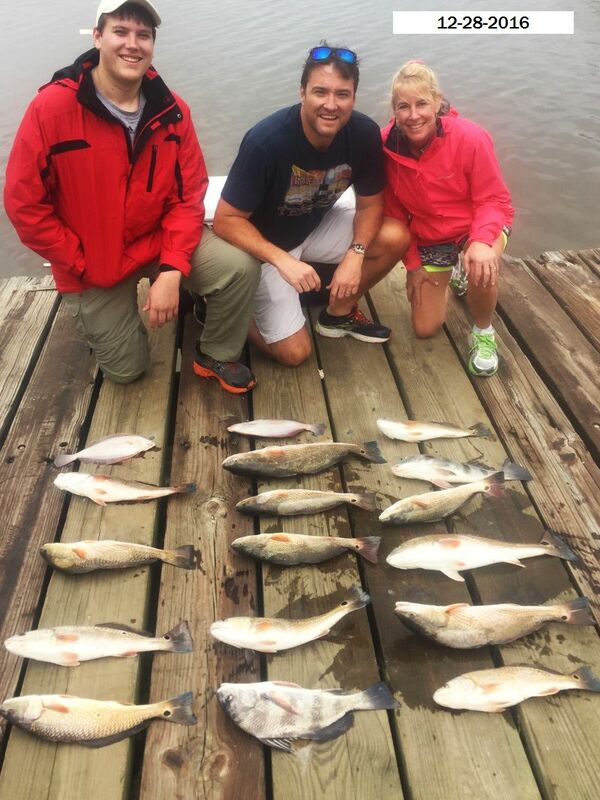 Brent, Paige and Steve caught their limit by 8:30AM! 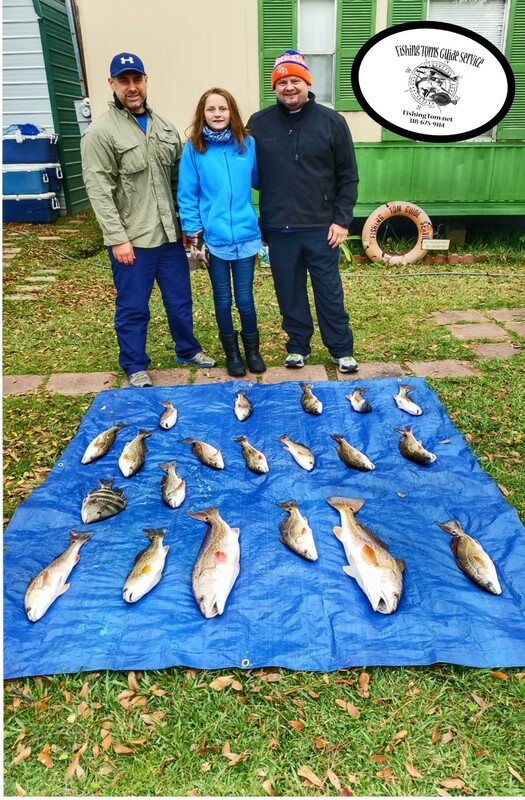 What better way to end at year than a brisk fishing trip that ends with a cooler full of fish! 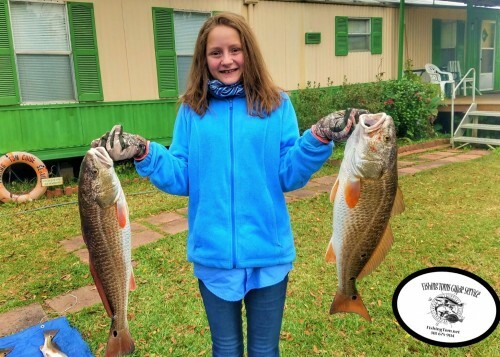 Brent, Paige and Steve caught over 80 fish today, but Paige schooled the men and caught the biggest fish of the day. 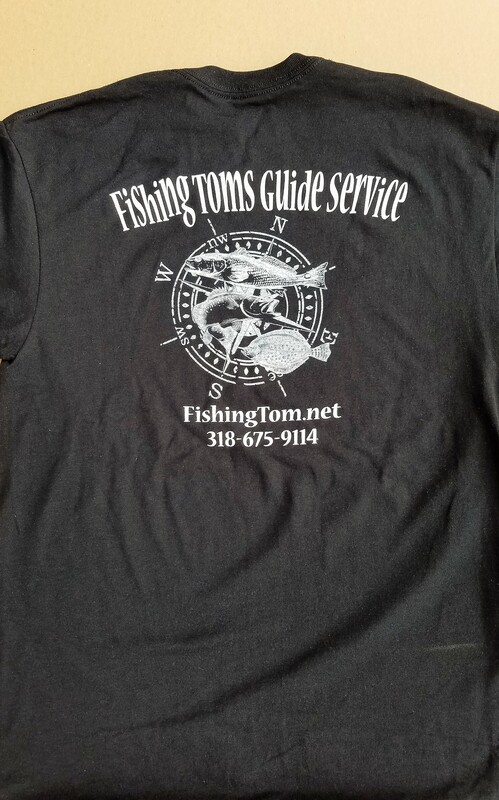 Captain Tommy always seems to know right where the fish will be. 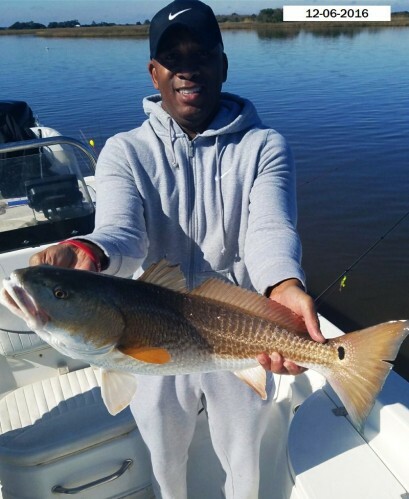 Captain Tommy brought them right to the REDS! 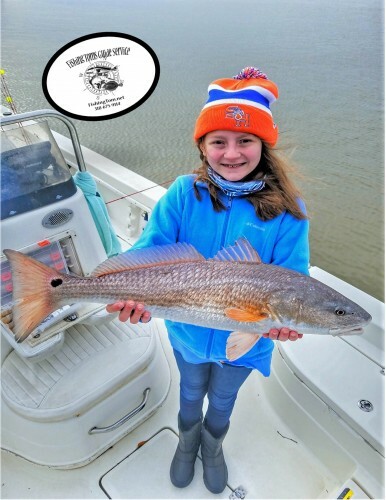 December 28, 2016 John P. , Wife Christy, & Son Conner Have a Nice Family Outing On Lake Calcasieu!!! 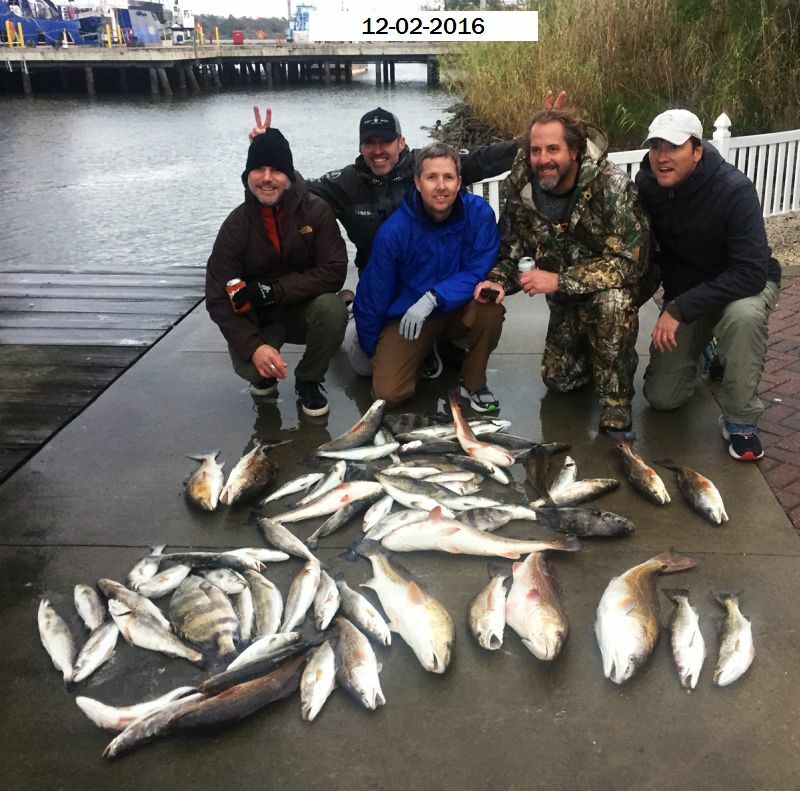 December 06, 2016 Darius & Friends Catch a Nice Mixed Bag with Captain Tommy!!! 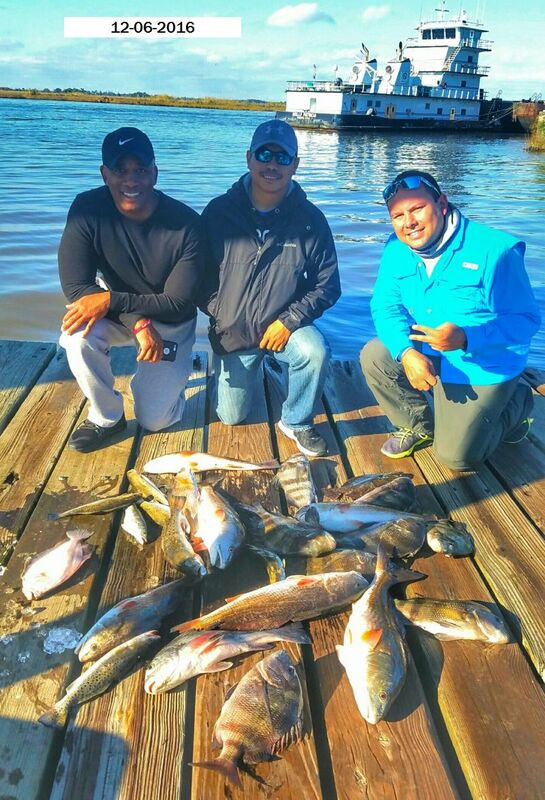 December 2, 2016 A Fun Reunion for Mark S. & Friends(Since Grade School) Great Day on Lake Calcasieu with Captains Tom & Tommy!! !